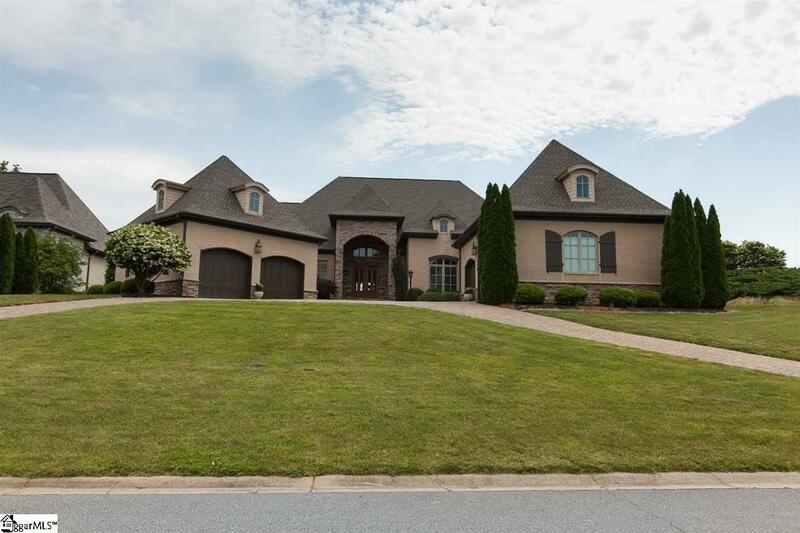 A one level European inspired home, built by prominent local custom builder J. Francis Builders. This welcoming and gracious home boasts intricate and lavish details that are a true delight to behold. 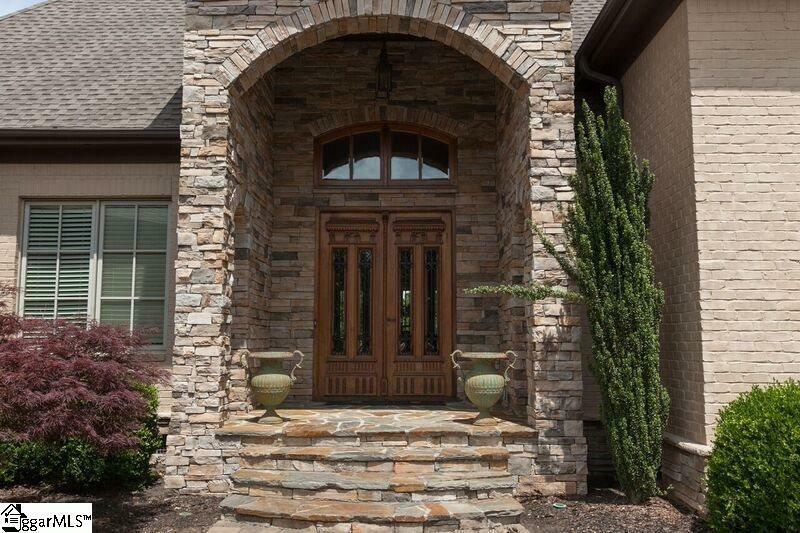 Gorgeous double wooden doors open to a spacious great room with views to the city. Beautiful Brazilian cherry floors, inlaid hardwood thresholds define rooms and spaces, custom wood bar graces the great room, tiffany inspired pendants, private office/study with wooden French doors, butler pantry, granite counter tops throughout the house, formal dining with a trayed ceiling, are some of the many exquisite highlights of this home. The gourmet kitchen has a center island, stone window ledge, custom built cabinets, designated double filtered drinking tap, instant hot water tap, steam oven by Miele, split cooktop feature with gas burners on one side and wolf induction cooktop on the other. This kitchen will meet all your needs. Move from the kitchen to the den and relax while gazing out the many windows looking out down the mountain to Greenville. The Master suite is your own private sanctuary with his and her bath areas, separate closets, an aquatic Serenity Air bath and a shower room featuring a 7 glass tile block wall. You simply wont want to leave. Two guest bedrooms with their own private bath areas. 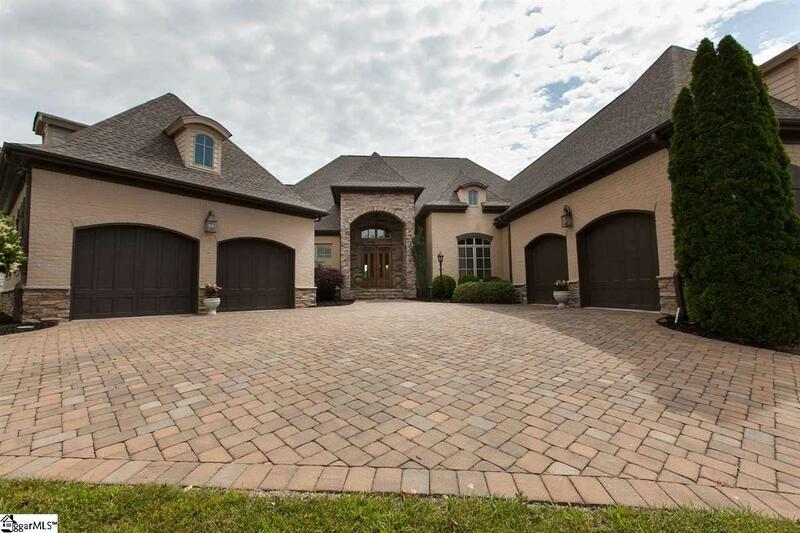 The courtyard entry pulls into 2 double garages with room for 4 cars! This home was made to entertain. Your guests will be wowed with the vaulted Great room that leads to a huge deck. Imagine the smell of barbecue while enjoying the picturesque scenes with your family and close friends. 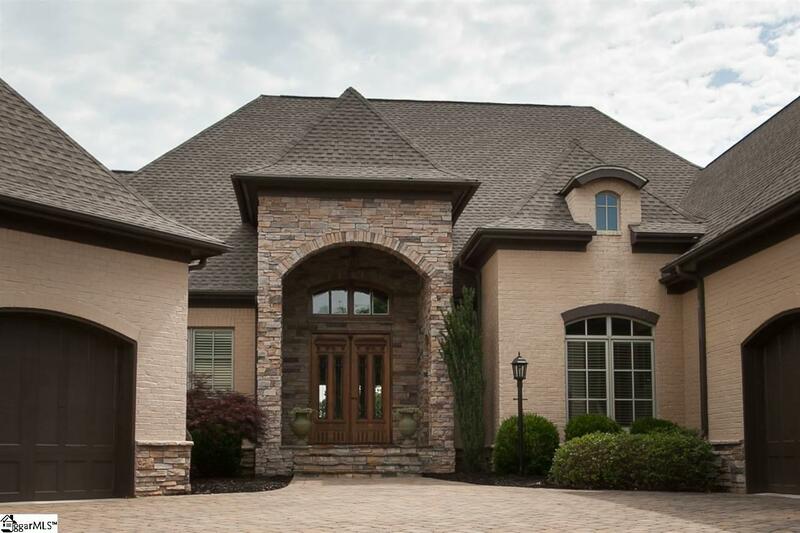 Montebello is a prestigious gated community that offers a generous amenity package. Just a few minutes from the heart of downtown and all the perks that offers. Listing provided courtesy of Christine Rettew of Keller Williams Grv Upst.